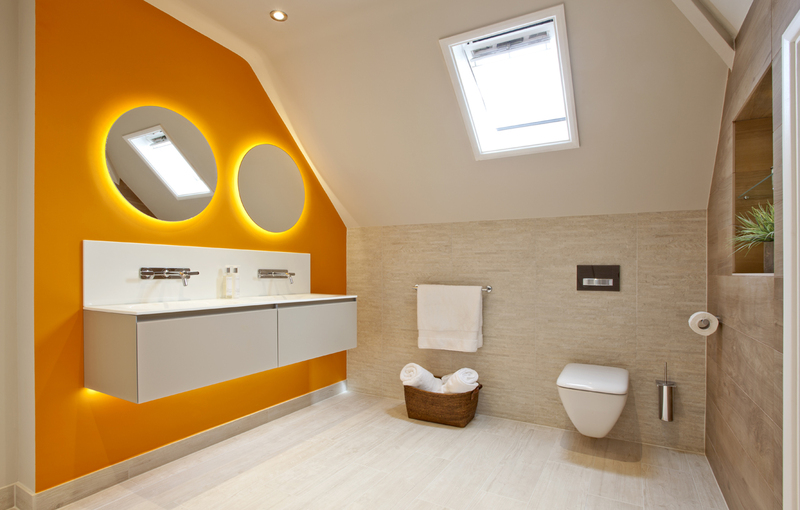 An invigorating family shower room was created for our client. 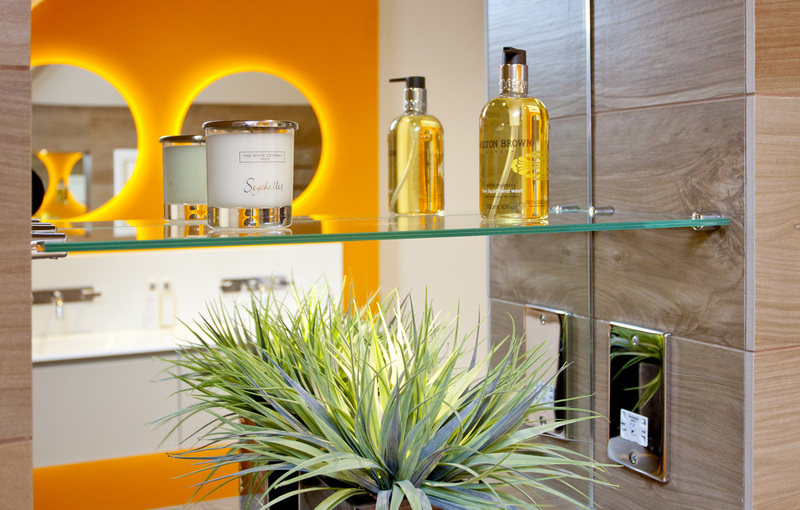 Our brief was to offer something different, so the design evolved, bringing an infusion of colour and texture reminiscent of family holidays. 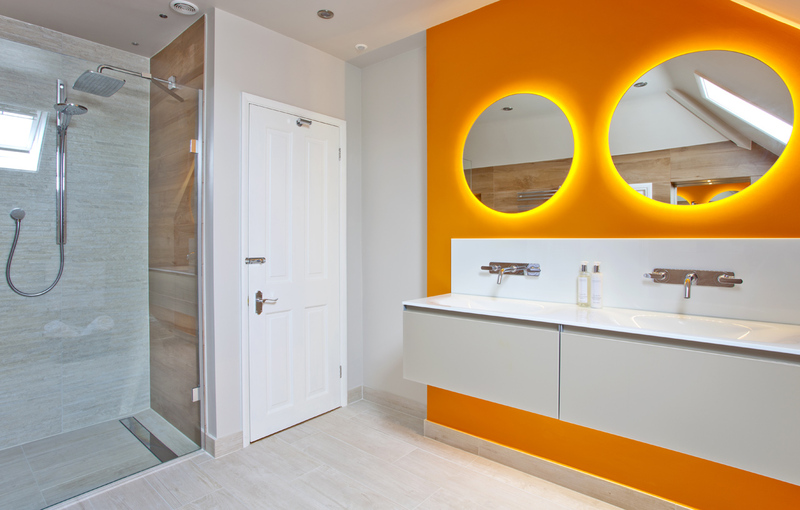 With textured ivory and wood-effect tiles creating the backdrop for this room, we added a burst of orange to create a feature wall for the double vanity area. 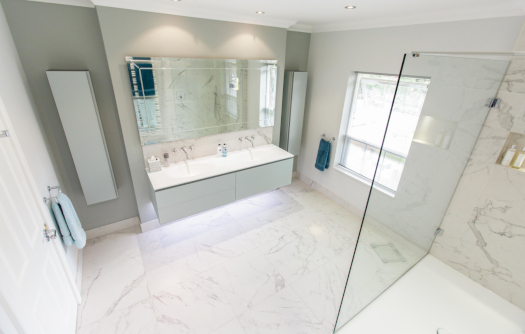 Artelinea’s Domino44 white glass vanity unit is the epitome of elegance and is complemented by the simplicity of wall-mounted Stark taps by Axor. 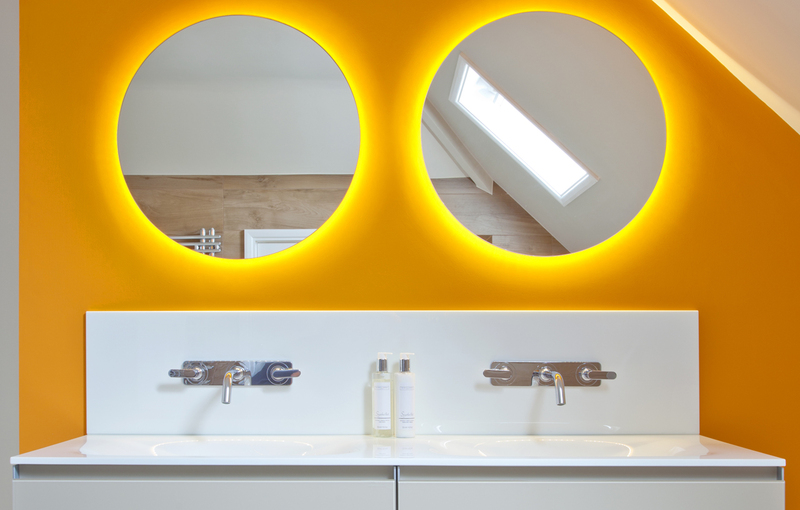 Bespoke circular mirrors positioned above with LED lighting gives the effect of warm sunlight in this stunning family shower room. 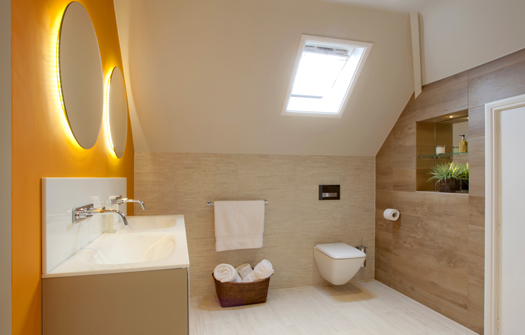 The wall hung Laufen Palace WC and integrated shower area retains the bright flow of the room and also helps keep this room easy to clean. 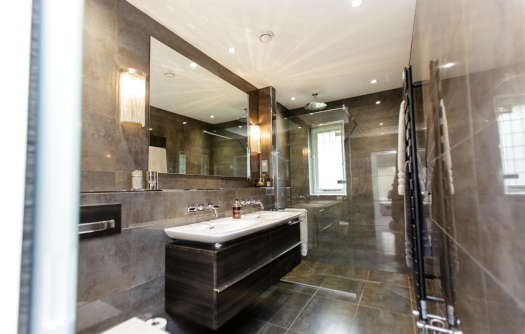 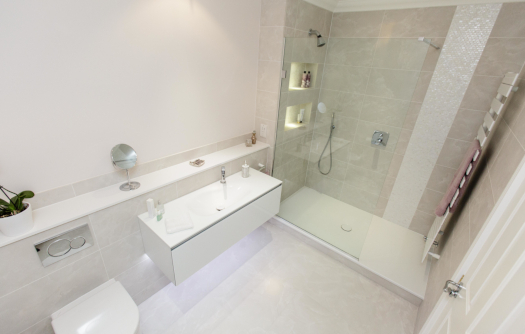 Our client’s family now enjoy this elegant but energetic family shower room.